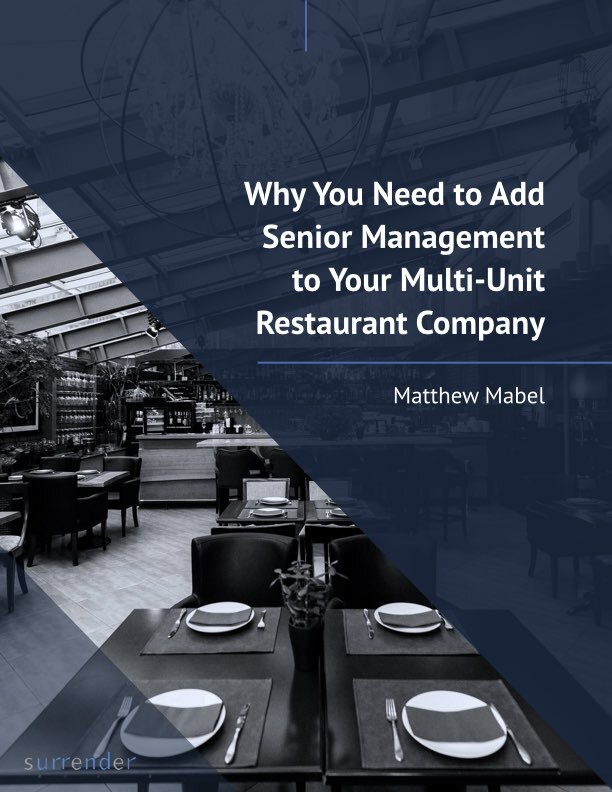 General Managers are the most important people in your successful multi-unit independent restaurant company. They control what happens within the four walls — including both the guest experience and the strength of your bottom line. Finding great general managers in the current labor market can be agonizingly difficult. As an industry we responded to this shortage by lowering the standards and raising pay rate for first-time GMs. These two things don’t usually go together, but it was the only way to fully staff our restaurants. However, just because you have lowered your standards does not mean your guests and P&L are going to be more forgiving. To maximize your net worth and ability to grow, you have to constantly develop your GMs. One of my clients, for instance, grew from 5 to 15 units based on two key initiatives I created for them. If you ask them how they did it, they will tell you, “Ownership roles and general manager development.” I spend a lot of time with clients creating development programs for GMs. 1. Education. Have periodic interactive GM conferences where you review specific learnings they can put to work in their units immediately. 2. Delegation. When you give good people a little more responsibility than they think they can handle — and the education to back them up — they will excel. Take a small number of tasks and responsibilities currently done by multi-unit personnel and transfer them to the GM level. 3. Out of Their Units. GMs will grow when they see themselves as part of an industry — as one of a league of peers inside and outside your company. Attending workshops, seminars, trade shows, vendor events, and restaurant association activities inspire GMs by showing them there is a world out there that’s bigger than their unit. 4. Ownership Support. As an owner you know to never usurp the authority your district managers, VP ops, or operations directors use to supervise and develop GMs. Instead, make sure you build a positive relationship with each of them. GMs must know you care, they are appreciated and important, and you are planning great things for them. The general manager is the most important person in your company. If you want to increase your rate of success, growth, net worth (and your retention rate), increase their capabilities.